LUX-camp Les Sablons is an ideal base for holidaymakers looking to explore the Portiragnes-Plage area in the beautiful Languedoc-Roussillon region of France. 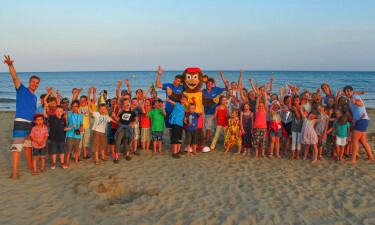 Located a mere 5 minutes from Béziers airport, this holiday camping site is easy to get to and boasts direct access to a fantastic golden, sandy beach. Offering luxury camping in a mobile home that is moments away from the beach and the lovely tree-lined Canal du Midi, Les Sablons should be first on your list of holiday camping sites in France, if you're planning a visit! Why choose Les Sablons in the Languedoc-Roussillon Region? Apart from the pool complex, which includes a children's paddling pool, this LUX-camp also offers campers bike hire for cycling along the Canal du Midi or to nearby Béziers (7 km distance), volleyball, wine-tasting, a kiddies' club, Toddlers Paradise, tennis, windsurfing, and sailing, horse riding and badminton within a 5 km distance. Campers also have access to football pitches, archery, fishing and table tennis. You're looking to sightsee during your luxury camping holiday? Agde is an easy 18 km distance from the Lux-camp and Marseillan Plage is accessible within 26 km distance. Narbonne lies ca. 35 km distance from the camp. At Aqualand Cap'Agde there are more than 20 attractions and waterslides to be found on 4 hectares of beach. 12th century Saint Nazaire Cathedral at Béziers, the exotic fish of Cap d'Agde Aquarium and the historic town of Pézénas are just a handful of the many tourist attractions nearby! Kids will adore the sharks, seahorses and octopi lurking at Cap d'Adge Aquarium. If this 797 pitch-site has tickled your holiday taste-buds, just wait until you hear about the local vineyards you could be visiting for wine-tastings, the romantic meals you could enjoy on the site's restaurant's terrace and the bingo, disco, dance and quiz, karaoke and evening shows that await campers at amazing LUX-camp Les Sablons! Every camping holiday includes shopping for a certain amount of daily provisions. 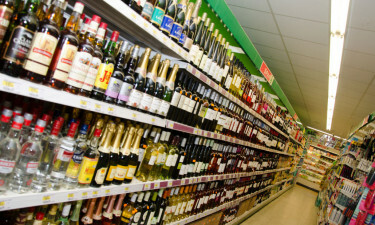 Although the towns of Béziers and Agde are very close by, both offering a multitude of shops, the luxury camping site provides guests with an onsite supermarket where life's little necessities can be purchased. Camping luxury naturally includes not having to slave over a hot stove in a mobile home every day! This LUX-camp offers campers great choice of cuisine in its onsite snack bar/take-way outlet and the Le Jardin des Sablon restaurant at the entrance of the holiday camping site. There is also an onsite bar for quenching a thirst on hot summer days!